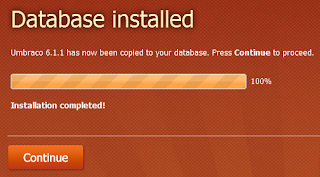 While configuring the database I opted to use the embedded database SQL CE 4, as it was easier to port across different machines and a hosting provider as well. 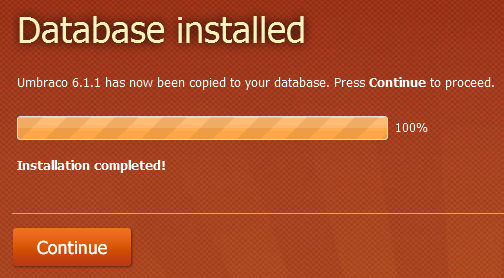 I also needed the data to be stored in my Git repo so that I would have the same data across my different development environments. 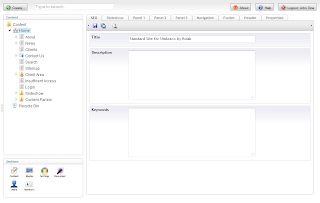 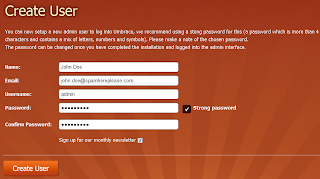 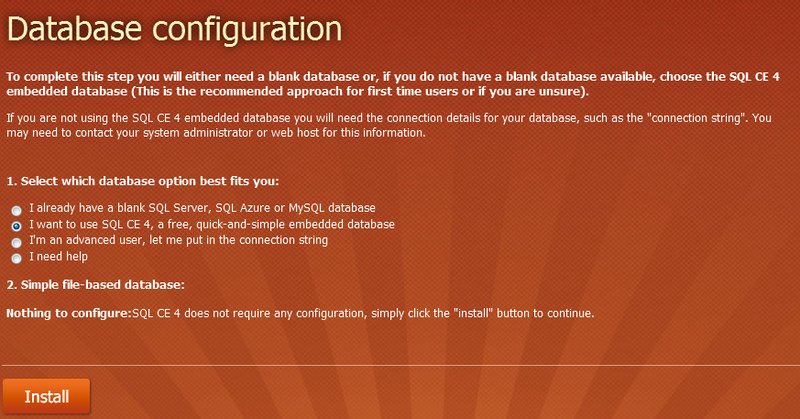 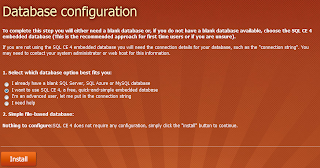 The option to use SQL CE 4 does not make it neccessary to provide connection details and login credentials as it would be needed for other database options provided. 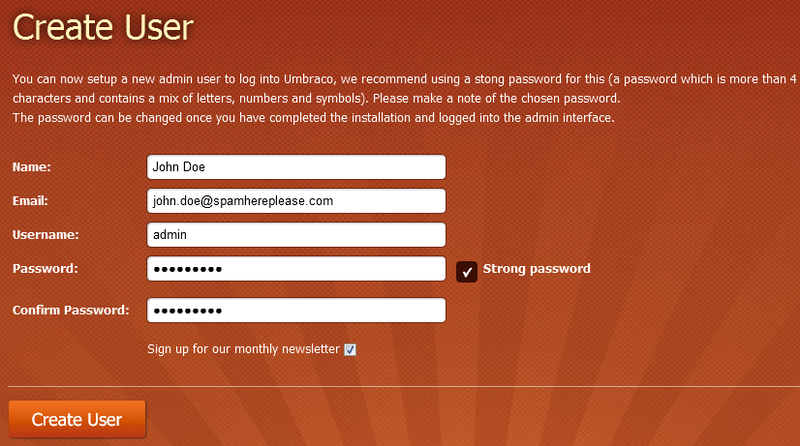 An admin user needs to be created to access the Umbraco backoffice and to be used as the super user to create other users for the backoffice. 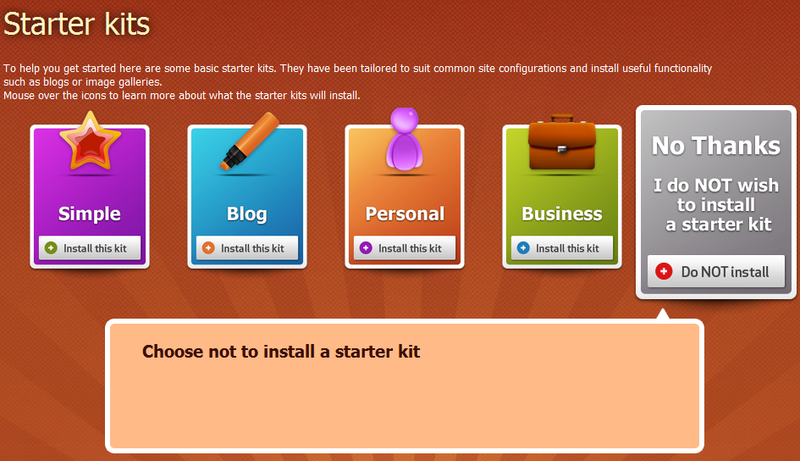 The next step is to install a Starter Kit. 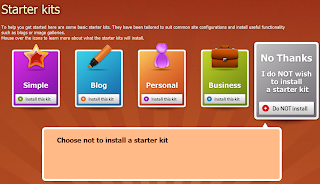 If you need to install the MVC Starter Kit, you should choose not to install a starter kit. 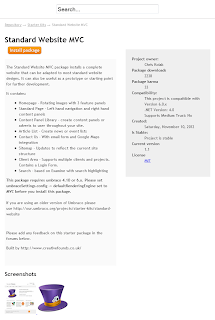 This will enable you to install the MVC Starter Kit later on. 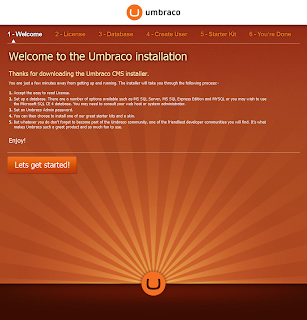 Above is the Successful Installation Screen after installation. 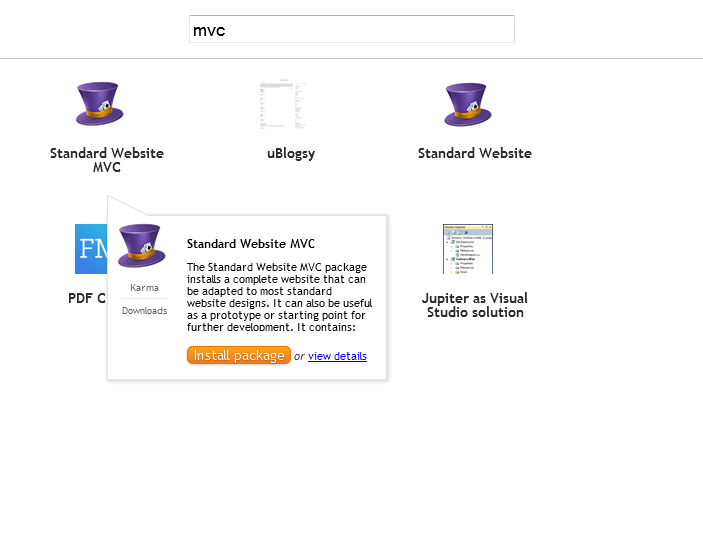 When you move into the initial backoffice screen after installation, you would need to go into the developer section to install the MVC Starter Kit. 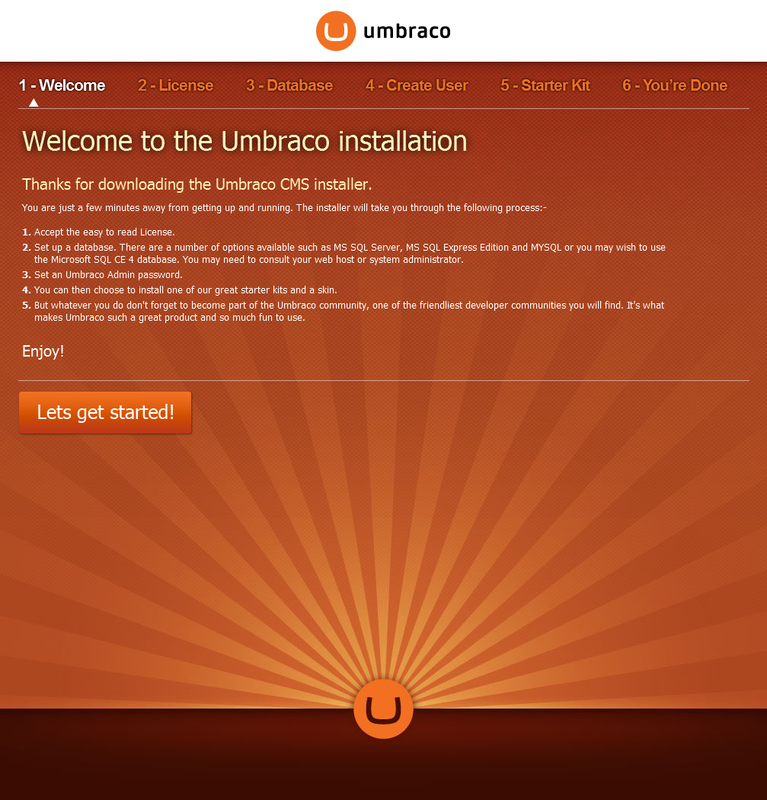 From there go to Developer -> Packages -> Umbraco package Repository. Once there search for "MVC". Ideally the search results should bring up the "Standard Website MVC". 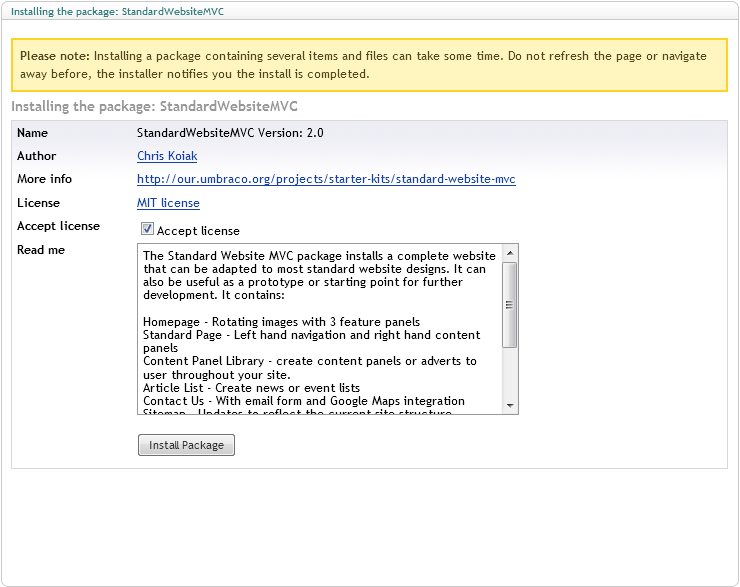 Click on "Install package" to continue. 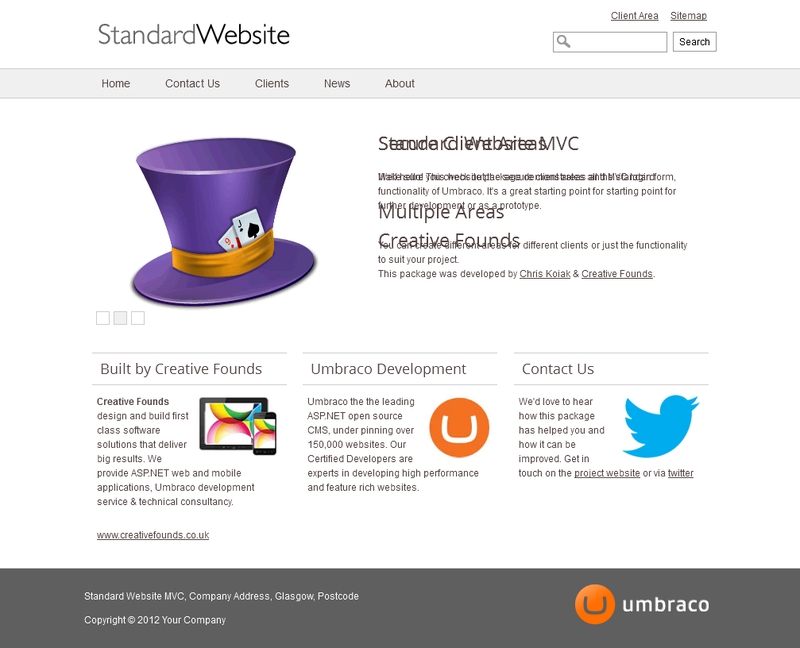 Once the Standard Website MVC package is installed, the Umbraco backoffice would look like the above screen. 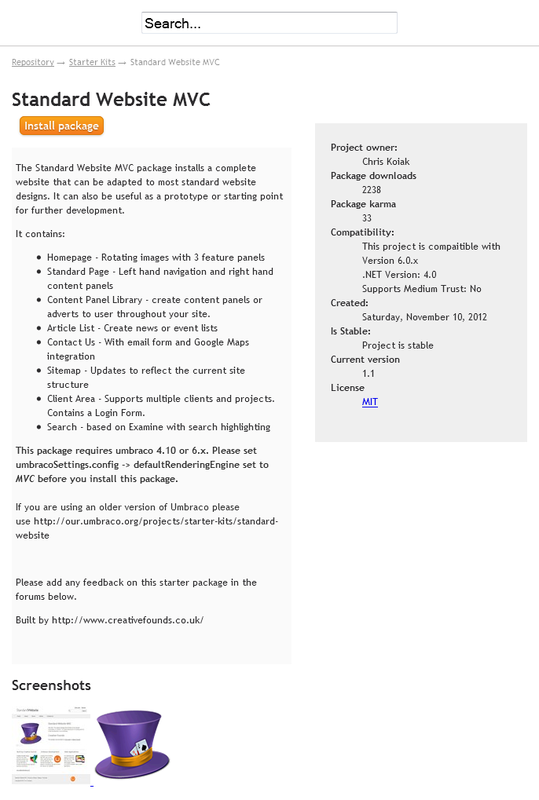 If you visit the website, it would appear as given below... 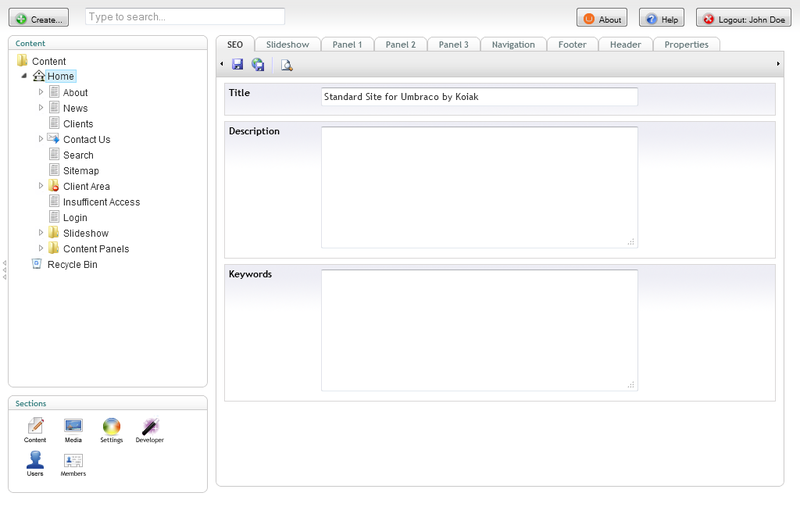 Note that I have not published any pages or done any changes from the backoffice. 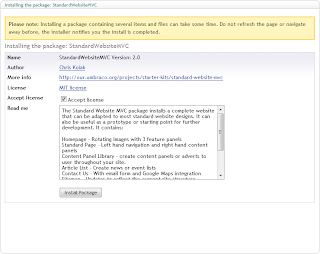 These are the default screens once the "Standard Website MVC" package is installed. 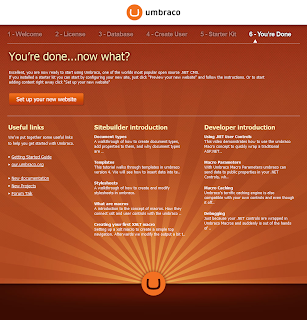 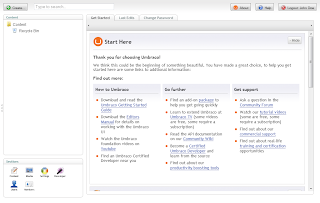 To access the website you should use the URL http://umbraco.local. 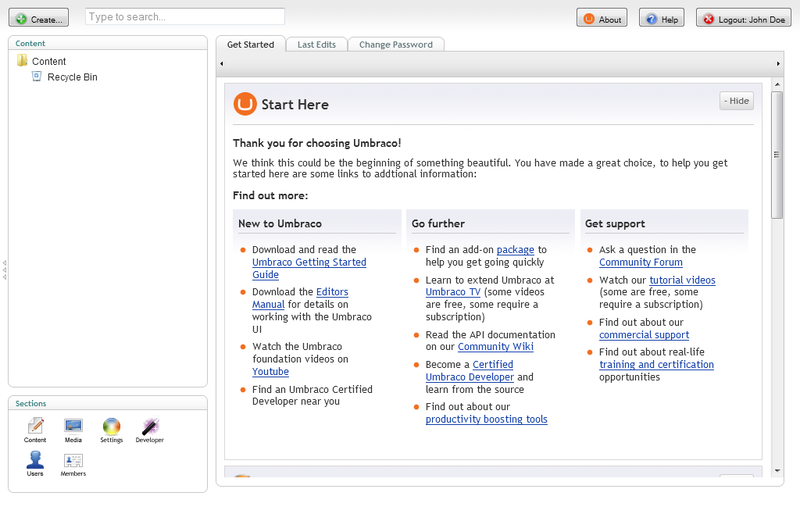 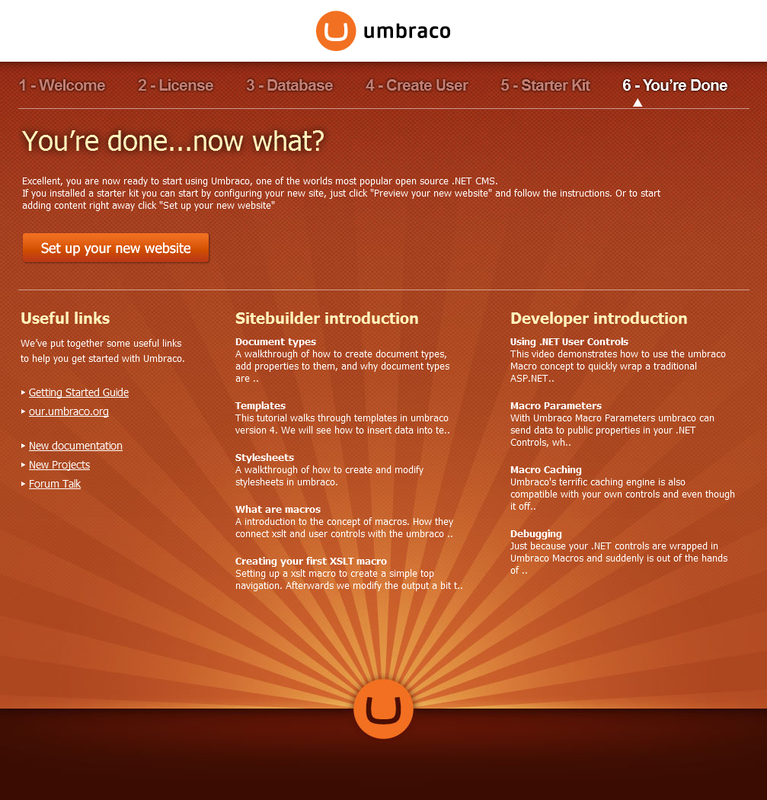 To access the Umbraco backoffice you should user the URL http://umbraco.local/umbraco/umbraco.aspx.